Why are all build statuses on Monero's Github failing? 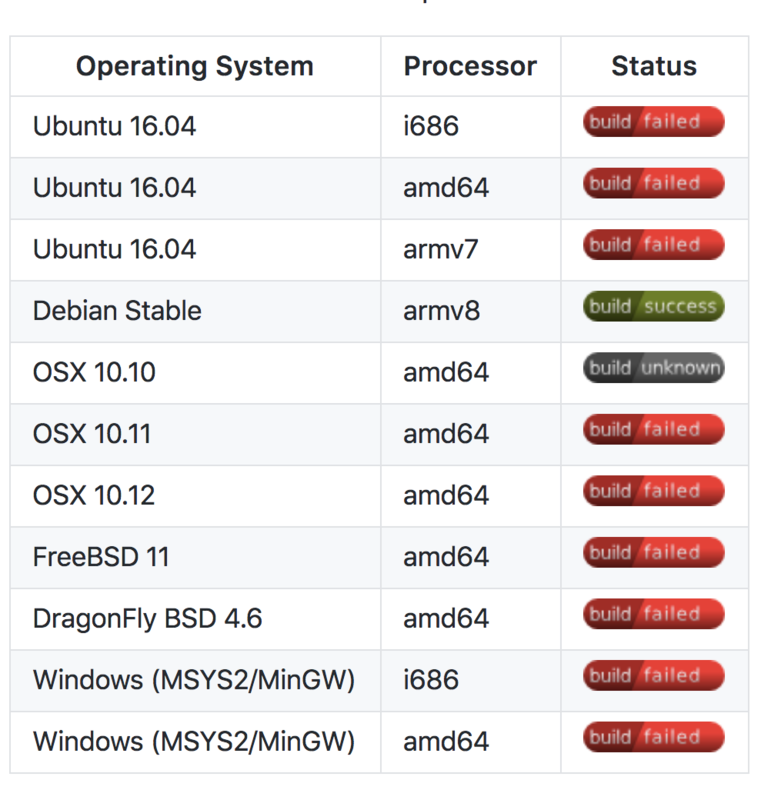 Should I use a Debian distro with an armv8 architecture if I am looking for stability? Because the build bots need some loving attention. They've been like this for a few months now, while people have been busy on other things. The main reason is that the crypto tests include a set of expected values from the pseudo random number generator, which was recently changed to remove a tiny bias, thereby changing the returned values. A patch which was supposed to update the values did not actually fix it, and another needs to be made instead. The Windows platforms were also broken for a couple days near your post's date when the block/tx notifications went in as they tried to build the POSIX code. At least one of the ARM build machines is also missing some necessary libraries and needs updating. Not the answer you're looking for? Browse other questions tagged monerod github or ask your own question. Are any other macOS users having problems building bitmonerod with release-static? Use official binaries or compile master myself? Is it possible to set up a short cut to launch monerod with a flag and cli-wallet at all at once? Running monero in its own virtualbox, performance issues? How does remote node work?